A common issue that Stevenson Ranch, CA property owners have is that they have a hard time finding plumbers when the need arises. We have a professional plumbing team on hand around the clock at (323) 745-2839 to attend to whatever plumbing needs you may have, regardless of how small or large they may be. Our plumbers will not only arrive at your property at the time stipulated; they all possess the necessary experience and knowledge to ensure that your installation, repair or maintenance work gets done correctly the first time round. In situations where properties are more than 10 to 15 years old, it may be time to perform necessary plumbing maintenance on them, such as replacing water heaters. Although it may seem costly to replace these units if they are still working, a burst unit could cost you far more over the long term in the form of ruined ceilings, flooded rooms, damaged cabinets and closets and even rotten flooring. When replacing these units, it’s imperative that the work be done by a qualified and licensed Stevenson Ranch plumbing company. 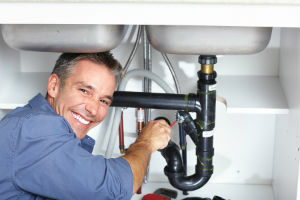 All of our plumbers have been hired because they are fully qualified, licensed and experienced. Dealing with a single undetected water leak can leave you hundreds or even thousands of dollars out of pocket in the form of high water bills or damage caused by constant dampness in the area where the leak is. When we send a Stevenson Ranch plumber to perform leak detection, they do so professionally and promptly, and we are also one of few companies that have the correct equipment on hand to detect even the smallest slab leaks. In addition, they can provide you with drain cleaning services, ensuring that your property remains as sanitary as possible at all times. Where plumbing emergencies are concerned, 99% of property owners know that these will happen at the most inconvenient times possible. This is just one reason why we provide an emergency plumbing service to our clients. No matter whether you have a blocked drain or a leaking water pipe, you can call us out at any time of the day or night. We always strive to provide the type of emergency plumbing Stevenson Ranch residents can rely on when a major plumbing issue hits your home. 24 Hour Stevenson Ranch Plumbers | Schedule an Appointment Today!